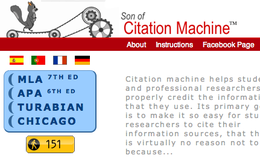 1. list of sources and citation info. 3. facts & interps., reactions, hypoth’s. 3. includes tables, charts, etc. Step 1: Locate, within a general subject area, a topic that fascinates you. Step 2: Narrow the topic by finding a specific angle or approach to it so that you can handle it within the prescribed page limit. Step 3: Search for print/non-print sources of information and record publication information about books, periodicals (magazines, newspapers, etc. ), websites, etc. on your 3 X 5 source cards, following exactly either MLA or APA formats per teacher's instructions. Step 4: Formulate a thesis statement and a clear method of development (MOD). Your thesis statement usually contains a judgment, evaluation, or criticism; it states the main idea of your paper. Your MOD shows how you are going to support your thesis. Example: Acid rain harms forests by damaging leaves, limiting nutrients, and poisoning with toxic substances. Step 5: Make a tentative Topic Outline, writing your thesis statement at the top and indicating the major topics that support it. Under each topic, leave space for listing facts, examples, and supporting details that your research will provide. Step 6: Take your second set of index cards (4 X 6 or larger), called Note Cards, and write a Topic Heading on the first few cards; these are the Major Topics from your Topic Outline. Step 7: Locate sources and begin taking notes, selecting only relevant information and entering it only under the appropriate topic headings on your note cards. Use a separate card for each idea or piece of information. Step 8: Once you have sufficient information, organize your note cards under your major topics and return to your topic outline. Now fill in the subtopics under your major topics. These are the facts, examples, statistics, and expert opinions that support each major topic. Step 9: With your completed outline and the information on your note cards in hand, start writing your rough draft, putting in documentation (parenthetical citations) for all borrowed material as you write. 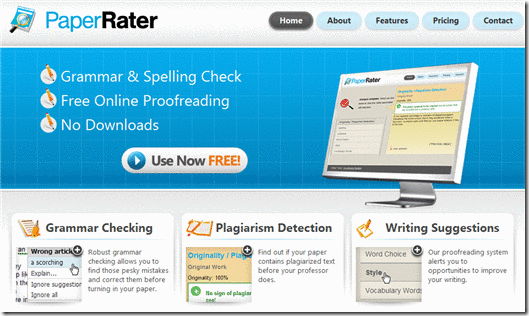 Use paraphrasing, summarizing, and direct quotation, as appropriate, and provide discussion of borrowed material. Step 10: Self-revise; exchange your paper with other students; study the feedback you receive from peers and teachers; then revise, revise, and revise! Use a checklist. Step 11: When your rough draft is the best you can make it, prepare your final version including a works cited or references page at the end, based on the source cards you used. Edit by proofreading and carefully making corrections. If instructed to do so, provide a title page, or attach the comer sheet that your teacher gave you. Step 1: (The most important step) Choose your topic carefully! You will be spending MANY hours with this topic, so choose something you are very interested in, or better yet, passionate about! Step 2: Narrow your topic to fit the assignment. The latest edition of the MLA Formatting Guide has made the citations more flexible, suggesting you include any and all information that you think your reader needs to locate your source, and it has streamlined punctuation. 9. Date of access (recommended) = "Accessed 4 May 2009"
*No more "Web" or "Print"
NOTE: This first video is a good overview of the process, but it does not include MLA citations. If you created Source Cards ahead of time, this step will be much easier and less time consuming! Make sure you have formatted the page correctly (1" margins, DS, etc.). Don't forget to alphabetize the entries (by 1st word) and indent all but the 1st line for each entry. Follow capitalization rules for titles! According to Purdue OWL, "Capitalize each word in the titles of articles, books, etc, but do not capitalize articles (the, an), prepositions, or conjunctions unless one is the first word of the title or subtitle: Gone with the Wind, The Art of War, There Is Nothing Left to Lose." Dates are always day, then month, then year, and abbreviate all names of months with more than 4 letters. Watch the videos below for latest changes to MLA Style.